Due to heavy load, the latest workflow operation has been queued. It will attempt to resume at a later time. | Are you a user? Due to heavy load, the latest workflow operation has been queued. It will attempt to resume at a later time. I’ve been doing some deep diving into globally reusable workflow creation with SPD 2010 and am beginning to hit a number of errors and "notes." In this case, I have been attempting to copy and modify the OOTB Publishing Approval workflow. I’ve added a pair of parallel approval tasks prior to the standard approval task and have modified the start-up form to display my country approval groups in several country drop-downs. Whenever I start the workflow I tend to get this "note." I can only assume this means it has been serialized in the database and is now subject to the timer jobs. My biggest problem at the moment is that I’ve been unable to approve either of the tasks that were assigned in parallel. If I use the task email that was sent, I get this nice error. You do not have permission to access the task. I don’t think contacting my system administrator is going to make this any better, so I’ll go directly to the task list. 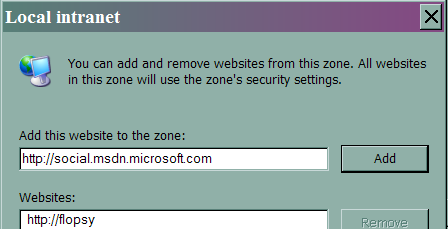 UPDATE: Found that the SharePoint site needs to be in the Local intranet sites in order for this to work. Oops! That’s an error. Not really sure what to do about it and I don’t have the time to mess with it at the moment. Am having the same problem, So what is the solution to fix it, or is there any workaround. Does this mean we cannot use SPD to create or modify workflows. I found that, if you assigned a task to approve a form, you need to have READ access to the site that the form library is sitting on. Let me know if this fixes your issues? I too am experiencing this issue and I have yet to find a solution. I was having the same problem. That problem arise when you have one wf is running and you will try to run it again from other place at the same time. For example, I have two workflows. By mistake, i set my workflow property when new item will created it will start and I also call same wf programmatically at the same time so that is why i got that error.